I have always believed in the power of the pen—as if you probably couldn’t already surmise that given my choice of profession. But first and foremost, writing has always been very personal. Since about the time I could string a series of sentences together, I have kept a journal. A couple of years ago, my mom finally made me clean out my childhood bedroom, and I found a stack of them, teeming with pages upon pages of my innermost thoughts—my highest highs and my lowest lows—as well as more angsty teenage poetry than I would care to admit. Still, flipping through these pages, I saw the way my younger self coped with the stress and confusion of growing up and saw the foundations of how I cope with the world and my life today. For many people, keeping a journal is an easy way to express their feelings and document their journey. And as David Tabatsky showed last week, writing about something as stressful and difficult as cancer can be healing. In fact, there is scientific research showing that expressing your innermost thoughts and feelings can reduce stress and promote a range of other physical, emotional, and social benefits. Early research into the benefits of expressive writing for people with cancer found that women with breast cancer who wrote about their deepest thoughts and feelings reported the fewest symptoms and had the fewest unscheduled visits to their doctors. A more recent study showed similar benefits in reducing symptoms and improving physical function for people with kidney cancer who did expressive writing exercises. Another study, published in 2008, showed that even one 20-minute writing session may be enough to change the way people with cancer think and feel about their disease almost immediately. According to the researchers, the writing session still had a positive effect on the person’s quality of life three weeks later. Although researchers differ in their explanations of why putting your thoughts down on paper is so effective, it seems this practice allows people to process and express difficult feelings, clarify their goals, figure out a way forward, and better cope with their illness. Figure out the best way for you to get the words out. I’m a pen-and-paper girl myself, but some people find that keeping a journal on a computer is easier. There are also mobile apps for smartphones and tablets that allow you to create journal entries while on the go. Think about making writing a part of your daily routine. Maybe you find that writing in the morning helps set the tone for your day. Or maybe writing before bed helps you wind down and process all that has happened before you go to sleep. Or maybe writing every day seems too strict so you’d rather just journal whenever the mood strikes. Find what works for your personality and schedule. Write what's on your mind, not just a list of the day's events. Thoughts about your diagnosis and treatment, your hopes and fears, your goals, an amusing story—it's all fair game. The only truly important thing is that you're writing about what's important to you. You don't have to limit your journal to words on paper. You can include cards and letters you receive or emails you exchange with friends or family. Maybe there’s a photo that sums up your thoughts and feelings. Express yourself in the way that seems most comfortable and convenient. Just do it! Try to resist the urge to censor what you write or to be a perfectionist with grammar and spelling. Be as honest and candid as possible in your journal. If you are unsure where to begin, use one of these opening lines to get started: “Today’s appointment with my doctor made me feel…”, “I am worried about…”, “I was surprised/happy/excited when…”. Instead of journaling, some people living with cancer are making their thoughts, feelings, and stories more public by writing a cancer blog (or even posting on this one!). 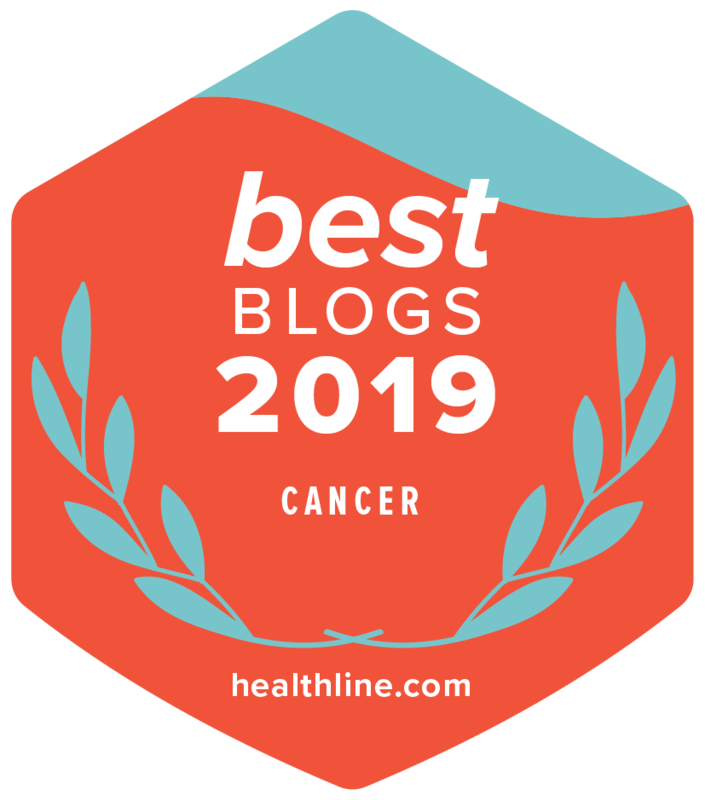 Because blogging is much more public than journaling, it not only acts as a way to cope with the highs and lows of cancer treatment but may also connect you with and help inspire other people who are going through a similar situation. Other people find this same outlet posting about their experiences on Twitter, Facebook, or Instagram. Whether you decide to write in a journal or post on social media, it is important to express the way you feel after being diagnosed with cancer. By putting your thoughts and feelings into words, you will not only be able to better cope with your experiences, but you will also be able to look back at your journey and see just how far you've come. Love this article. Writing can really be cathartic. I chose blogging (http://www.myskincancerjourney.com) about my experience. The first thing I did when I learned I had skin cancer was google it! I wanted to learn from others. Now I want to provide information or advice to someone else who needs it. Thanks for sharing your story, Michelle. Writing (and talking) about our experiences not only helps us but others too! Knowing there are other people out there who have gone through something similar is a very powerful and comforting thing.